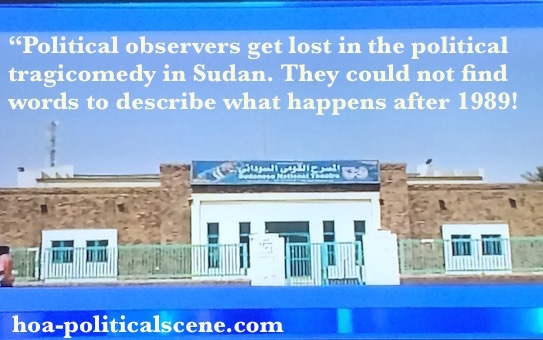 Political Tragicomedy in Sudan, Always? Who Plays the Political Tragicomedy in Sudan? Political observers get lost in the political tragicomedy in Sudan, every time and then with the same Islamic satanic party in power blowing the Sudanese political tragicomedy with its bagpipes. The observers could not find words to describe what happens after the elections in April 2010. In fact, they are lost in the political “tragicomedy” in Sudan and they couldn’t find words to describe what happens since 1989! They have gone astray and missed their way, because the satanic Muslim Brothers of Sudan have played on every astray possible to mislead them, even when they built the well-known terror group. 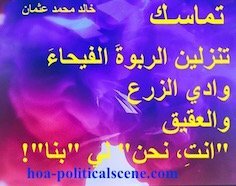 Mr. Alex de Waal among them said in April 2010 describing the political tragicomedy in Sudan, that it is hard to find the truth in the recent Sudanese political scene. He suggested that fragmentation among the political parties would destroy the country. That is exactly what I have mentioned in the HOA PoliticalScene Newsletter, explaining the plans of the Sudanese dictatorial regime to fragment the one million square miles into pieces to keep and foster its economical interests, which are the economical interests of the same terror group the NIF has created, during what they called Jeddah conferences, connecting with their wings in Afghanistan. What has gone bad in the Sudanese political scene? Is it the madness of the military and civil dictators? Is it the personal interests in treasury in Sudan? Is it the dominant mentality? See The Good, the Bad and the Ugly in Sudan, They Shoot Horses and They Shoot Horses in Sudan, Don’t They? 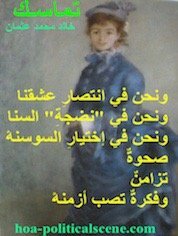 In Arabic, you could read It is Time for Farces to Have Fun in Sudan and know more about the political tragicomedy in Sudan. Many questions like these make people lost without answer and become more frustrated. However, the answers are in deep thinking while re-reading the political development in the country starting from 1956. Well-educated Sudanese know the political development and the nature of the ﻿political problems in Sudan﻿. Perhaps, many poeple understood it according to their political orientation. Meanwhile, unbiased people with unwashed brains see the political tragicomedy in Sudan through sensitive macroscopic eyes. The Political Tragicomedy in Sudan has Some Phases! The continuous political tragicomedy in Sudan and it is absolutely a thing that some people do not see may make political observers wonder why some Sudanese do not see the running tragicomedy in their land. 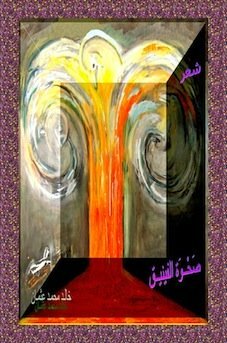 The answer to such question is simply that some people do not see it because the civil and the military dictators in the military religious regimes led by Ibrahim Abbud, Jafar al Numeri and Omar Hassan Bashir have washed their brains. The operations that run since the independence in 1956 to wash the people brains have many phases. The first phase is the family phase. Many traditional families live under the influence of the main conservative two sectarian powers. The rest and that is few of them live under the influence of radical Islamic power. The second phase began at school through the traditional educational system that builds mentalities on the ethics of the heroic illusive history and the traditional religious education that builds fearful mentalities. The other faces are simple, as stated in the knowledge base of the HOA Political Scene Blog and through the Sudanese section of this base at Brigadier Mohammed Ahmed Alrayah, Comments on Sudan, Comprehensive Peace Agreement, Crisis Group, Darfur, Darfur Crisis, Darfur Rebels and Democracy in Sudan. The Political Tragicomedy in Sudan has Backgrounds Too! The national traditional way of bringing up and rearing children in schools fill their minds with some nonsense and never encourage them to come up with individual thinking. The way the traditional mentality thinks of every discussion that begins with the questions "why", "what" and "how" is forbidden (haram) from an Islamic perspective, brings up hushed personalities. This picture works in the background of everybody to tie him or her to his spiritual leader being that conservative sectarian leader or radical Islamic leader. The Sudanese character faces absorption by its conservative sectarian leader or radical Islamic leader. However, many families have already broken that string to educate their children, as they wish, to acquire open mentalities. The hottest political issues make the political tragicomedy in Sudan circles continuously to bring civil false democratic governments and turns again to bring military governments from decade to decade. Dictators Make Political Tragicomedy in Sudan! Sudan has witnessed many periods of dictatorship, well politically educated Sudanese people classify as military dictatorship and civil dictatorship. However, it seems that the matter is not about dictating only. It is a matter of "donkeynizing" the people by the name of Islam, the name of sectarianism or by the name of something else called "what's the name of the game?" This quoted, as something else called, "what's the name of the game" is well known as religious phobias, tribalism and crimes committed with impunity. So, there's no peace, no love, no real rhythm of development, when politics amalgamates with religion and business to create dictatorship, terrorism and total crisis, like those created by the junta of the 1989 coup! They will never understand that the religion is something very personal, so intimate and special like love, and not for a state like Sudan in its wide cultural diversity. This does not mean that there is Arabic and Islamic cleansing in Sudan, though, as the international political media describes sometimes. There is none of these issues. The problem is that there is heavy "marginal regions" policy in addition to heavy legacy of obsessed mentalities that see the state only from sectarian eyes or religious eyes. This is the political tragicomedy in Sudan. However, there are more pages to blow at the same theme as this one you read about. Connect your secular opinions with the themes I blow at Elections, Elections Commission, Fur, Ghost Houses, ICC, Indictment, Jubas Political Powers, Khartoum, Luis Moreno Ocampo, Omar al Bashir, Referendum in Southern Sudan and Save Darfur Coalition. Want to comment on this article about the Political Tragicomedy in Sudan? Use the form below. 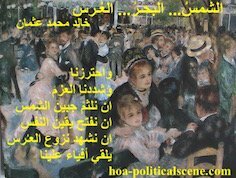 You can share this page about the Political Tragicomedy in Sudan with your services through the buttons below, at the left column or at the bottom of the page. I'll make them beautiful slideshows and videos for you to enjoy watching and to call your friends to watch on the HOA's Political Scene Network. Let us read your opinions about the Political Tragicomedy in Sudan through the following form. 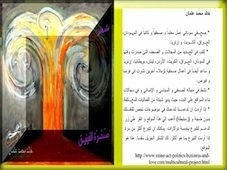 Share the political tragicomedy in Sudan with your social media and pin the pictures on this page. Thanks.